If you are relying on a basic log manager or spreadsheets to manage security alerts, you may be missing critical threats in your network. You could boost your team's productivity with a modern SIEM platform. 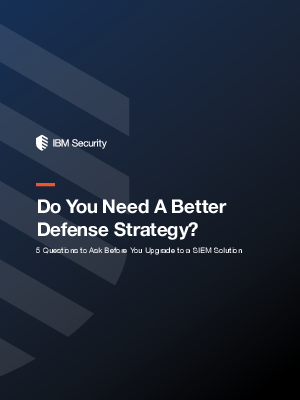 In this E-Book, you will learn the five most critical questions that you need to ask in order to determine the best security analytics solution for your organization.